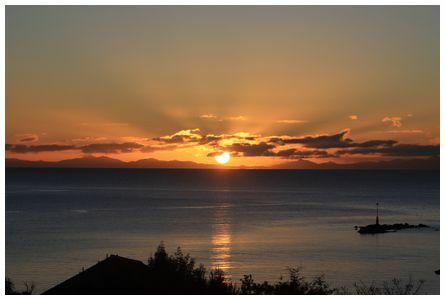 'Day break at Goodwin Road, Gisborne, looking towards the North East at 05:40 on 16 October 2015' wrote Sandy. 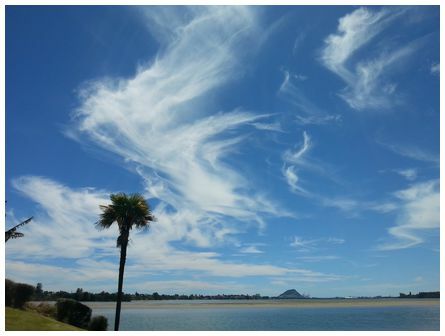 'Curious clouds above Paroa on the West Coast. Taken on 23 September 2015 using a trusty Samsung phone' wrote Paulette. 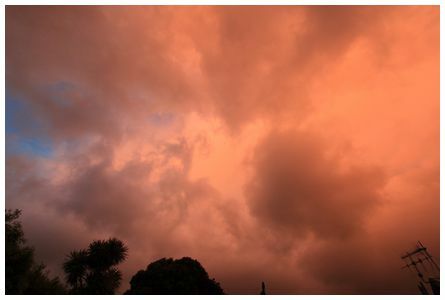 'Hi James, heavy cloud build up lit by the last rays of sun. 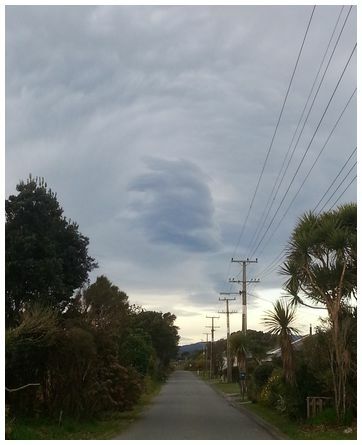 Taken at 18:44 on 21 October 2015 in Paraparaumu. Canon EOS 500D, f/8, 1/100 sec. Spot metering 10mm' wrote Bob. 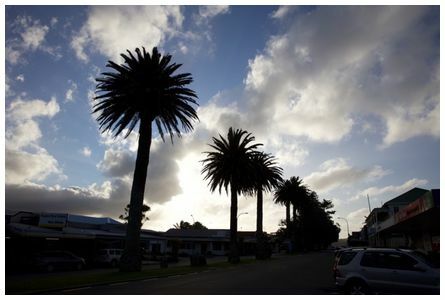 After two days of almost incessant rain it was nice to see some blue sky over Raglan on the eve of the Meteorological Society's Annual Conference which is being held there from 23-25 November 2015. Photo taken looking west down Bow Street at 19:17 on 22 November 2015 using a Canon 5Ds with a EF24-70mm f/2.8L II USM set at 24mm. 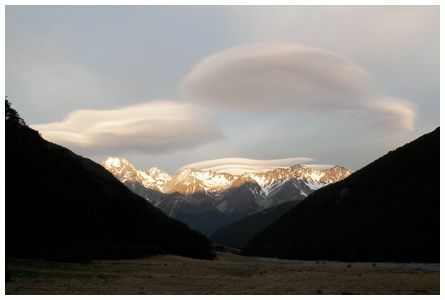 John wrote 'taken from the Huxley Forks Hut looking east down the Huxley River to the Neumann Range north of Lake Ohau. 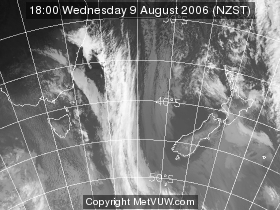 Strong westerly wind building up to rain during the night. Taken at 19:00 on Saturday 24 October 2015 on an Olympus uT6000, 1/100sec at f3.5 on ISO 50. 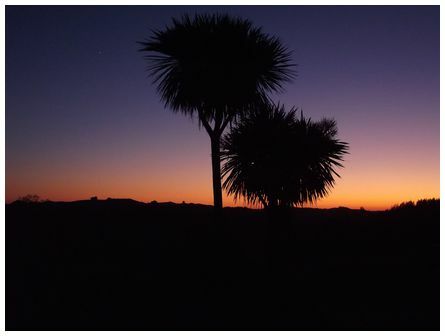 Another photo from Chris of a sunrise at Kiteriteri Nelson in August 2010.